Toshiba 32EL933B review | What Hi-Fi? Toshiba’s TV business has seen something of a resurgence over the past year or so, especially with its latest top-end models. The Toshiba 32EL993B is neither a new nor top-of-the-range set, however; not unsurprisingly, to get a screen this size for this sort of money, you need to lower your expectations a little. But can it still deliver a decent performance? 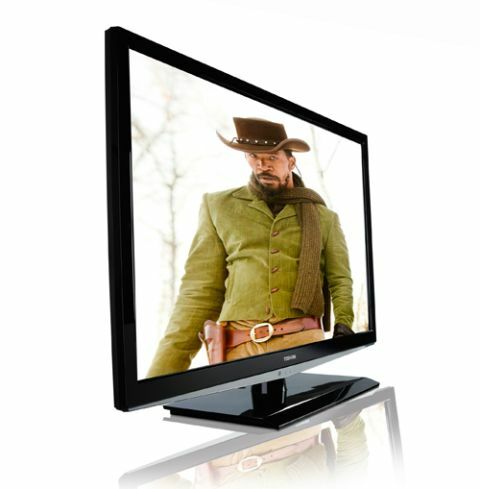 Certainly its features are no more or less than par for the course for a budget TV. The Freeview tuner is SD only, there are a couple of HDMI inputs, plus component and composite connections, a USB input and a PC input. Headphone and optical audio outputs complete your options. On its pedestal stand this slim edge-LED LCD set looks and feels solid enough and the style won’t have your friends averting their eyes. It’s the same with the on-screen menus, which are fine and functional rather than beautiful. The remote control is fairly standard, as we’d expect. Toshiba sadly joins the party when it comes to uneven backlighting – something of a common theme on budget TVs. It’s not an issue unique to this set – far from it – but with darker scenes the patchy lighting towards the corners of the screen is more noticeable on our Toshiba sample than on any other. As a result, black levels aren’t great, with low-lit scenes and dark leather jackets in Mission: Impossible – Ghost Protocol (of which there are plenty) lacking insight. Brighter scenes fare better, with bright, punchy colours enhanced by sharply drawn edges. Some slow pans show motion handling better than many rivals – maybe thanks to the 100Hz processing – while the overall level of detail is good. The 1366 x 768-pixel screen does well with HD source material, and DVDs are similarly proficient, again only falling down in terms of low-light scenes. There’s no sign of HD on the Freeview tuner however, and the picture performance is a little less impressive. It's lacking in definition and stability next to rivals – we expect better for the money. Another blow to the Toshiba’s potential quality is the sound, especially at high volume. Ultimately, we can’t quite get behind this Toshiba TV. It’s inexpensive in isolation, but it struggles to stand out from the crowd with neither price, performance nor features managing to turn our heads.